Wealth Of Character & Many Original Features. A traditional Welsh country residence dating back to 1850s. 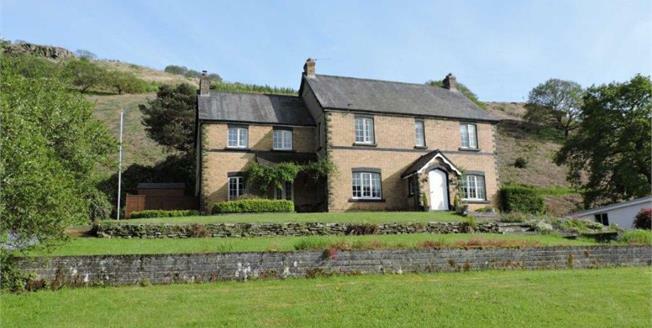 Set in the picturesque and rural location of Clyne Neath. This property offers spacious reception rooms, five bedrooms and a multitude of original features. Beautifully presented and decorated sympathetically to the age of the house. Lletty Dafydd House retains many original features and character such as Victorian floor tiles, original cornice, fireplaces, and a cellar but still incorporates practically designed modernisations such as a fitted kitchen, and double garage. Beautiful maintained gardens and side paddock with far reaching mountain views. Viewing is highly recommend to truly appreciate the character of this property. Although located in a semi rural village while maintaining good links for the M4 motorway.